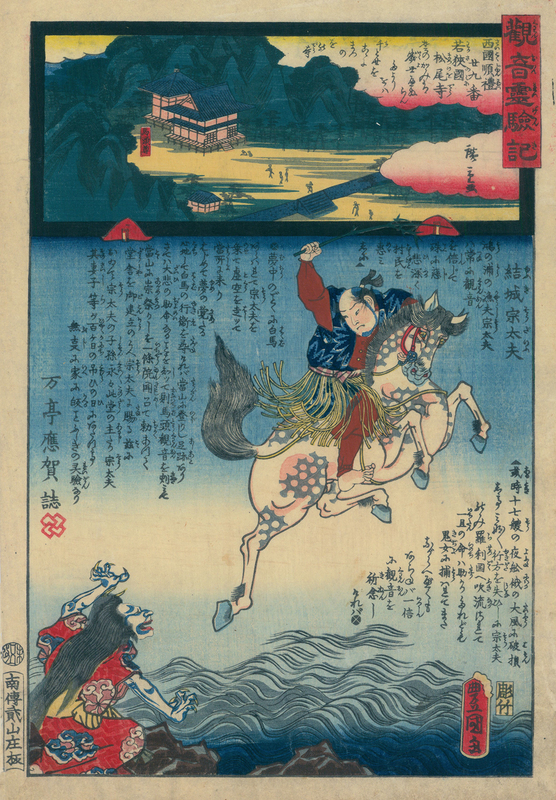 Color woodblock C. 1858. From the series "Miracles of Kannon," a large series that pairs miracles performed by Kannon, the Buddhist Goddess of Mercy, with scenes of temples in the Western, Central, and Eastern provinces of Japan. Print measures 13 1/2 x 9 inches on 14 3/4 x 10 inch handmade japan paper.